The United Nations General Assembly (UNGA) held its 10th emergency meeting, Wednesday on Israel's response to protests dubbed the 'Great Return March' along the border with Gaza. The UN voted to condemn Israel's excessive force, marked by the use of live ammunition. One hundred and twenty countries voted in favor of the resolution while 8 voted against it and 45 abstained. The meeting on the issue follows a similar one held on June 1, over a vote on a resolution to condemn Israel's use of force, often deadly force, against Palestinian demonstrators protesting for the right of return to their homeland. US Ambassador to the UN Nikki Haley vetoed that resolution, proposed by Kuwait and proposed her own resolution in response but was unable to garner any backers. In light of the US veto, representatives from Algeria and Turkey requested a continuation of the meeting, which was granted. 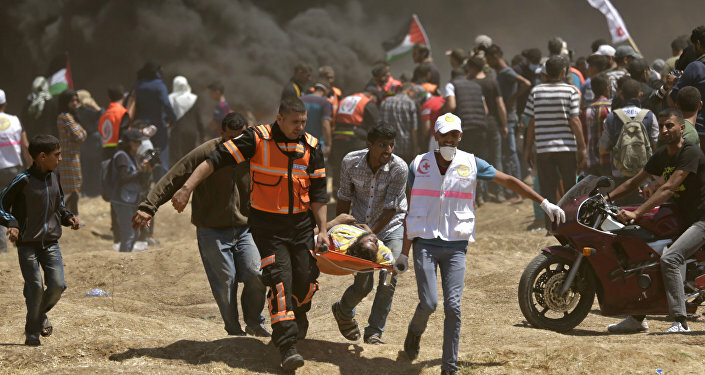 Earlier Wednesday, Human Rights Watch, an international nongovernmental organization (NGO), condemned Israel's use of lethal force against Palestinian protesters in the Gaza Strip over the past two months ahead of the UNGA meeting. 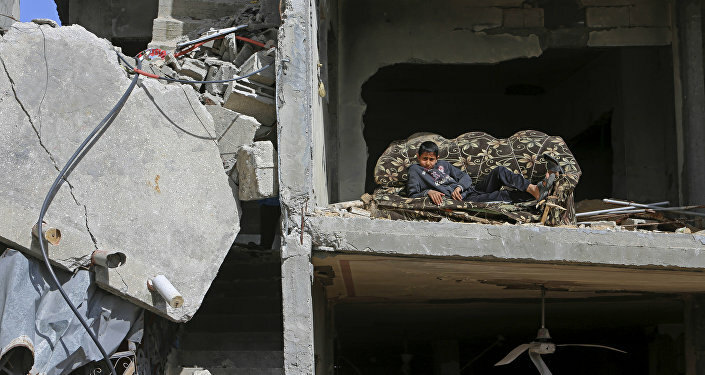 "The [UNGA] should support a resolution that calls for exploring measures to guarantee the protection of Palestinians in Gaza, and a UN inquiry mandated to investigate all violations and abuses should identify Israeli officials responsible for issuing unlawful open-fire orders," the statement said, calling for the International Criminal Court to also get involved. "The international community needs to rip up the old playbook, where Israel conducts investigations that mainly whitewash the conduct of its troops and the US blocks international accountability with its Security Council veto," Sarah Leah Whitson, Human Rights Watch's Middle East director, said in the statement. The Great Return March started on March 30 and officially concluded on May 15 to commemorate the Nakba, or Israeli Independence Day, in which 750,000 Palestinians were removed from their homeland to make way for Israelis. However, demonstrations remain ongoing. On May 14, the day that saw the highest death toll of any others and which also saw the opening of the US embassy in Jerusalem, 60 people were killed by Israeli forces; a total of 124 have been killed and more than 13,000 injured as of June 9, according to Al Jazeera. Human Rights Watch noted the use of live ammunition against children, journalists, medics and protesters who "posed no imminent threat to life," saying the acts may amount to "war crimes." They also highlighted the Israeli Defense Forces' (IDF) use of assault rifles "that fire bullets at high velocity." According to a April 19 statement from Doctors Without Borders (MSF), the injuries from the bullets the IDF is using are "unusually severe and devastating," and will leave "most" victims with serious, long-term physical disabilities." Human Rights Watch cited medical journals and the IDF's own manual for trauma surgeons, saying both "documented that gunshot wounds from assault-rifle bullets cause severe soft tissue damage, have a high incidence of complications, and that 'any delay at the scene of injury might jeopardize limb survival.'" They also called on Israeli authorities to reverse their policy of denying medical exit permits to wounded protesters as physicians in the Gaza Strip are unequipped to properly treat them. Between March 30 and May 23, 40 people shot by the IDF required amputation, including at least three children. Human Rights Watch interviewed nine people who fell victim to the IDF's violence on May 14, a day which saw nine journalists shot and six children killed. "I saw a man was bleeding and walked toward him slowly. My back was toward the fence, no one was around me, throwing stones or anything else. Then a bullet hit my back from the right side and exited through my chest," one told them. "There were no ambulances, they couldn't come to us because of the shooting," he added. By the time of the MSF statement, they'd already treated more patients in their clinics in the course of those three weeks than they had "throughout all of 2014," during which Israel launched Operation Protective Edge, a devastating 51-day war in Gaza that left more than 2,000 Palestinians dead. A new conflict in Gaza would be even worse, UN Middle East envoy Nickolay Mladenov warned in an interview with the Israeli news site Walla on Wednesday. "We all have a common interest to avoid another war in Gaza because another war in Gaza will be more destructive than the one in 2014 and it will have regional implications," he said.